Social brand marketing service Wildfire has launched a Facebook App focused on creating better content for Facebook’s Sponsored Stories. Facebook launched Sponsored Stories in January and pitched it as a more social and engaging ad format. Brands can turn user activity such as checkins, wall posts and likes into a small advertisement that appears to the right of the Newsfeed. 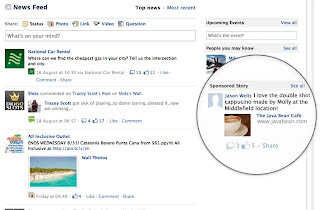 If your friend checks into a Starbucks via Facebook, his or her checkin could make an appearance as a sponsored post the next time you open up your Facebook account. We’ve heard good things about Sponsored Stories, but it does come with issues. The biggest one is that advertisers don’t control the content that appears in an advertisement. The problem is that most Sponsored Stories are boring. Seeing someone “like” the Starbucks Facebook Page is far less engaging than a Facebook status update talking about how much he or she loves the Starbucks Chai Tea Latte. 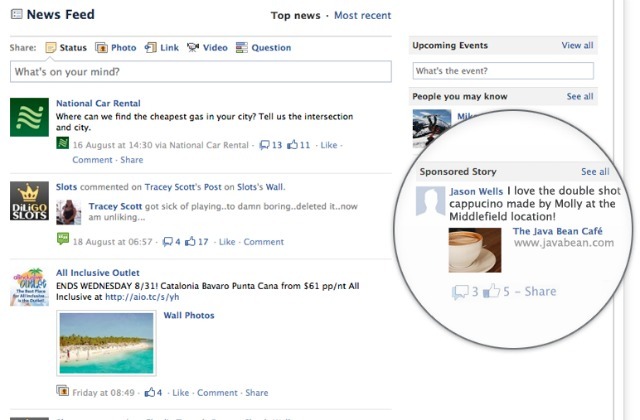 We suspect that’s why Facebook asked Wildfire to develop an app to make Sponsored Stories more engaging. The result is is the Wildfire Storyteller App, a Facebook application focused on turning user feedback and opinions into not just Newsfeed stories, but Sponsored Stories as well. 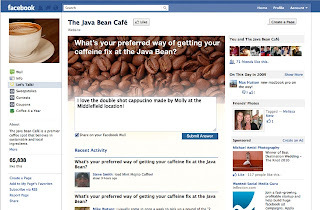 The application allows brands to add a new tab to their Facebook Pages. 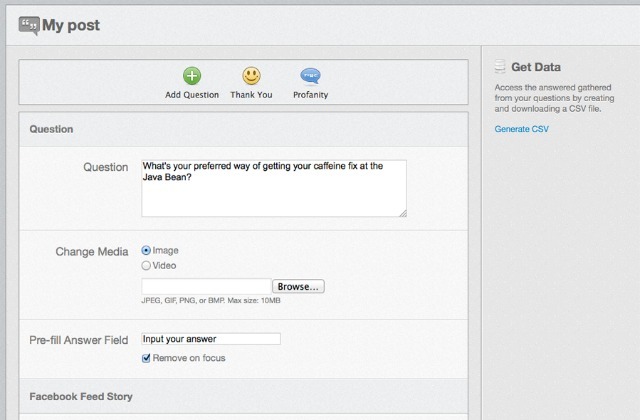 On this tab, brands can ask their fans to answer a question or provide an opinion (e.g. What’s your favorite thing about Mashable?). 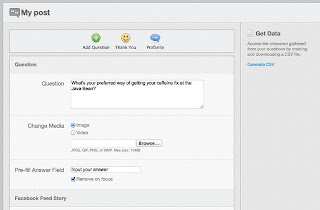 Users can then share those answers with their Facebook friends and post it onto their walls. These wall posts can be customized to include images, videos and descriptions the brand wants to include. A film would be able to share a promotional poster and a description in every single wall post generated from the app. That’s not what makes this app special, though. The app’s real purpose is to generate engaging Sponsored Stories ads from all of those user responses. 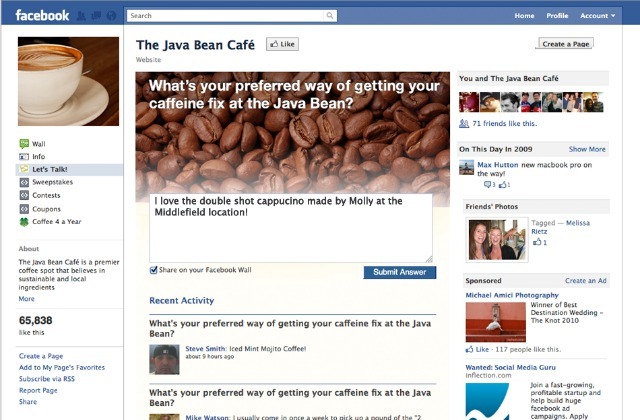 By asking the right question, brands can create far more engaging social ads. My friends are more likely to click on a Starbucks Sponsored Stories ad if it says “I love the Starbucks Chai Tea Latte!” than if it just says I checked into my local Starbucks franchise. Storyteller also comes with filtering options so negative comments don’t appear in Facebook ads. Wildfire Interactive CEO Victoria Ransom says that ads generated via the Storyteller app are four times more effective than traditional Sponsored Stories. While the traditional Facebook had has a 3.3% conversion rate, Storyteller-generated ads have a 17% conversion rate. Ransom warns that Sponsored Stories are more effective with larger brands, since smaller brands simply don’t have the reach to make Sponsored Stories effective. What do you think of Wildfire’s new Storyteller app? Is it something your company would use? Let us know your opinions in the comments.